Is Cryptocurrency the future of the internet? Almost everyone that looks at cryptocurrencies only sees the financial gains they are able to make if they invest. Behind this, though is a lot more going on that will affect everyone in the future. 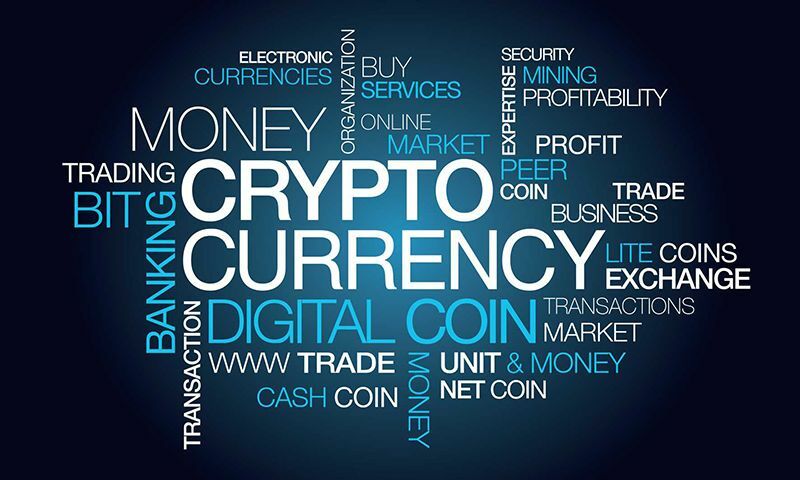 Crypto’s are a hot topic, and though they have their ups and downs in value, a significant number of people are looking to buy cryptocurrency with investment being their motive. The FOMO affect spreads like wildfire, and this can change the value of digital cash. When the prices are overinflated, and there is a dip. These investors panic and sell which then turns into a cryptocurrency crash. If investors spent a little more time doing homework into a cryptocurrency investment, they might choose an alternative than the current market leaders. It is true they have risen in value by momentous proportions though this is not a real reflection of the coins value to a user. For long-term stability, a crypto has to resolve flaws which exist, and for coins to survive that have these flaws they have to do something. Bitcoin had a fork which resulted in some flaws being fixed though how many times can a currency have forks when they have problems. This is one of the first coins which brings decentralization apart from only digital cash. Spare computing resources can be allocated by anyone who wishes to run a node on the decentralized network. These host nodes serve up content while being paid for this service and all users are able to become a host. This helps to form a decentralized internet without the use of additional software on any systems. Substratum comes with 2 decimal places for any payment transactions, so payments made or received will appear similar to spending and receiver’s dollars and cents. Ease of use has been a focus of this team, and their take on decentralizing the web might benefit everyone. As well as hosting services or providing storage solutions as some crypto’s technologies offer payments for anything have to be easy to use and accessible for users who can’t hold a bank account. Stellar has looked at payment systems and is set to make inroads into the way banking is performed. Mobile money, global remittances, and any other transaction can benefit from Stellar. This network has servers placed globally where the public ledger is stored and updated when operations take place. Now users can send oversea transactions from their cell phone to a family member in a matter of seconds without having to find a remittance center and pay a fee. This is no more so the largest ISP’s around the world are free to throttle or restrict access to anywhere they wish. There are also countries that limit what content users are able to access. To get around this net neutrality at present, VPN services are a must though this becomes harder as many countries are slowly blocking their usage. As time goes on the internet could appear to become smaller while rates for access are increased and if an ISP decides to impose a tariff on a company they might charge for access to their site. If any of this happens, the internet will suffer from a lack of innovation and growth. One coin aims to address all of these problems with their currency and their underlying mesh network. SKY doesn’t just sit on top of Skywire a new mesh-network that offers speed, security, and transactions. SKY and Skywire-mesh are firmly interwound, though they are able to operate interdependently to each other. This mesh doesn’t have servers which sit in large corporate buildings. The users themselves host all the network needs to operate. Internet connections are closer and faster as the content is passed from multiple sources. Each node works in a peer-to-peer manner for serving services and to provide data redundancy and network protection. SKY has no coin mining so transactions are free and node miners are paid for their hosting contributions. Users are also free from any Geolocation restrictions as the nodes are in place to bypass the monopolistic ISP’s regardless of what country they reside. The entire Skywire mesh-network operates like one VPN service, so there is no fear of surveillance. Your data is under your control, and very private with no chance of your information being used for anthers benefit without your knowledge. Skywire decentralizes the network and takes control away from any one entity that might wish to manipulate it. A web of trust is created which is all a part of a “New Internet.” it might be that the Skycoin cryptocurrency changes the future of the internet as we know it. When you’re expanding your business and are serious about making waves in the Singapore market, you should consider using virtual offices. More business owners are utilising virtual offices in their business expansions due to the many different advantages they provide over conventional office spaces. Let’s take a look at how utilising virtual offices in Singapore can help you expand your business successfully. As we mentioned briefly above, having a local Singapore business address in a sought-after location in the city immediately paints your business in a positive light in the eyes of customers and potential investors. With an address that they recognize they will trust your brand and your business right away, putting you on the front foot when working out any potential business deals. To really complete your professional business image in Singapore, make sure you add your new local business address to your website, business cards and other marketing materials to give a rounded professional image of your company. Premium providers of virtual office spaces offer professional staff to tenants. A dedicated, bilingual receptionist will be at your disposal to answer the phone however you would like. Mail sorting facilities are also available to ensure your important documents always reach you, no matter where you are. Your receptionist can either take messages for you or they can forward the call to your personal number or to another number you have assigned. 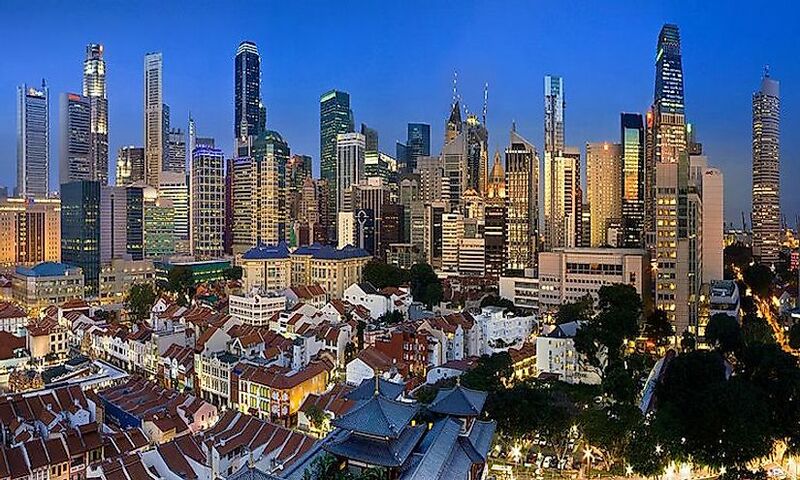 With facilities like these, you’ll never miss a call, so your business expansion and growth into the Singapore market should continue as planned as you continue to connect with new clients and local investors. While virtual offices are just that, virtual, you will still need access to meeting room and boardroom facilities from time-to-time to meet prospective clients. Premium providers have these included in their facility and often a certain number of visits will be included in your package. These spaces are usually well-decorated and well-finished so that you can feel comfortable meeting clients there. Servcorp meeting rooms, for example, come fitted with granite floors, leather furniture, hand picked artwork and perhaps most importantly, are unbranded so that your business shines in their facility. Having a dedicated local phone number is invaluable for businesses looking to expand their operations into Singapore. With a local phone number, your business partners and customers can easily reach you, rather than calling your personal or overseas number. This helps to give an added level of professionalism to your company in the local business market. And this is backed up further when you have your dedicated receptionist answering these calls on your behalf. .
Before you decide on a specific location in Singapore for your virtual office, be sure to spend some time looking into each of the available locations. Although all of the locations offered will be in excellent locations in the city, some locations will have different advantages over others.